Up next is a story from Yes! Magazine about a different take on farming. Yes! Magazine’s Bailey Williams and Isabelle Morrison discuss why some people grow food in shipping containers. 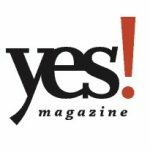 To find out more, check out the article on Yes! Magazine’s website, “Why This Montana Farmer Grows Food Year-Round in Shipping Containers“.